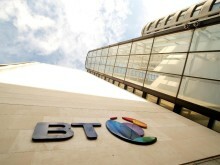 An important aspect of the agreement relates to lowering the level of investment risk in the Scheme, as well as continuing to de-risk in the future.Steps have already been taken to move 15% of the assets from growth assets, such as equities and property, to lower-risk investments, such as bonds, providing a substantial reduction in risk for the Scheme and BT. We previously announced the closure of Sections B and C of the BTPS (representing over 99% of the BTPS active membership) to future benefit accrual, which is expected to take effect from 30 June 2018. The employees impacted by this change will be able to join the BT Retirement Saving Scheme ('BTRSS'), our main defined contribution scheme, for future pension provision. Benefits accrued in the BTPS for service prior to 1 July 2018 will remain preserved within the BTPS and subject to revaluation in line with the BTPS rules and relevant legislation. And we are increasing our company contribution rates to the BTRSS. Over the coming year, we will establish a new hybrid pension arrangement for non-management employees ('team members') leaving the BTPS. It is intended that this new arrangement will combine elements of both defined benefit and defined contribution pension schemes and be designed to support those team members on lower pay scales, giving them another option for their retirement savings. These changes will reduce the build-up of future defined benefit pension risk. 1.4 Between June 2014 and June 2017, the Scheme benefited from asset returns of 10.5% pa, that were higher than assumed under the 2014 funding assumptions, and £2.0bn of deficit contributions.The fall in long-term real interest rates resulted in an increase in liabilities, which has more than offset the improvements in the Scheme’s assets.1.5 There has been a reduction in the liabilities as a result of allowing for slower improvements to life expectancy being forecast by actuaries. This impact has been broadly offset by the impact of changes to the investment strategy that have reduced the level of investment risk in the Scheme. 2.2 The 2017 funding approach incorporates an allowance for a substantial reduction in the level of investment risk for the Scheme, compared to the approach underlying the 2014 agreement. 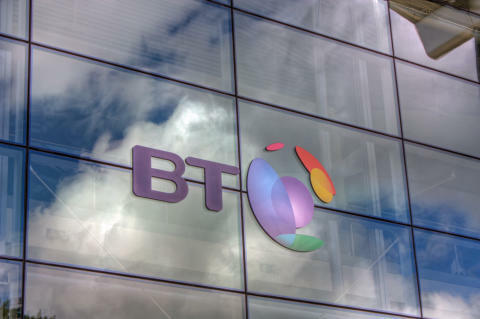 A 15% reduction in growth assets has already been implemented in line with this new approach, enabling BT and the Scheme to benefit from a lower level of investment risk.Further de-risking will take place to reach a low risk investment approach by 2034. 3. Funding3.1 The recovery plan is shown in the table below.